The Costa Brava is one of the most beautiful areas of Catalonia and has received the distinction of being the world’s best emerging golf destination. The area has four courses ranked inside the continents top 50, including the epic Stadium Course at PGA Catalunya, with some courses being selected European Tour Events. Golfers can choose to stay in luxury on-site golf resorts or in towns by the sea such as Platja d’Aro or L’Estartit. Perfect for Costa Brava golf holidays Spain. 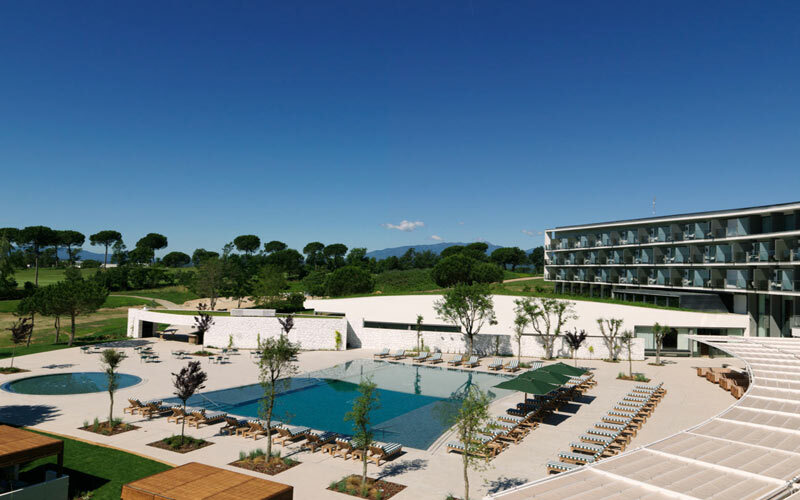 PGA Catalunya Golf Resort, staying at the stylish 5* Hotel Camiral. 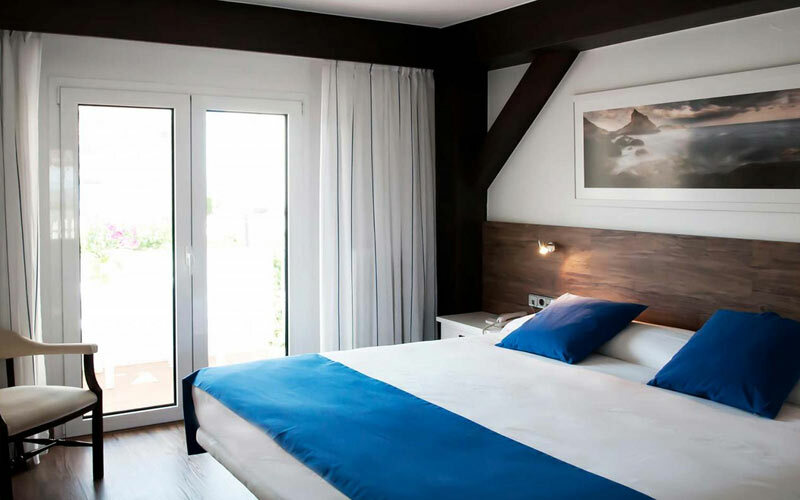 The Hotel Camiral has 144 warm and refined rooms overlooking the golf course and driving range. The golf course is held in very high regard having been named in the Golf Worlds list of Europe’s top ten courses. The hotel also has a piano bar and a pub where you can enjoy drinks on the terrace. You also have access to the hotels spa where you can book treatments if you require. 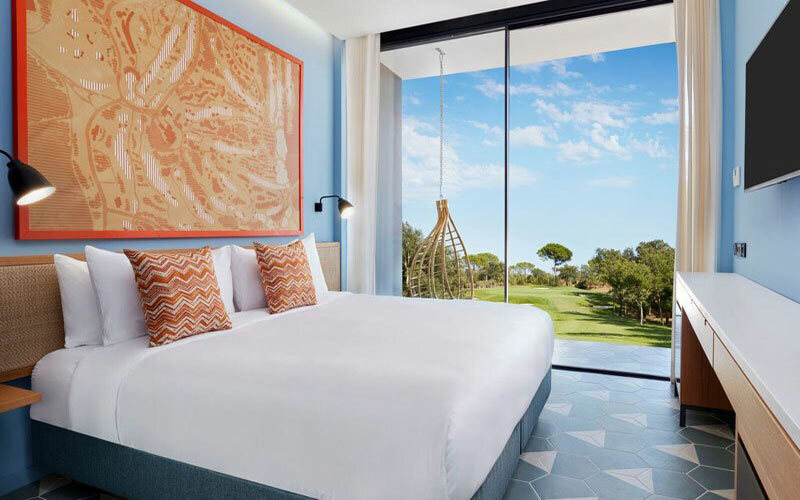 PGA Catalunya Golf Resort has recently opened its doors to the latest addition to its Portfolio, the well designed 3* LAVIDA Hotel. The hotel excels in providing a more affordable way to enjoy this delightful golf resort, with the fantastic Stadium Course believed by many to be the best golf course in the country. The hotel comprises of 50 guest rooms which have all been designed to accommodate golfers, from the golf storage area in the room, to having a private balcony which overlooks the 16th hole. Guests staying at the resort will have access to the two on site golf courses at PGA Catalunya, the Stadium course and the Tour course. Both golf courses offer a challenging test of golf and some stunning scenery. 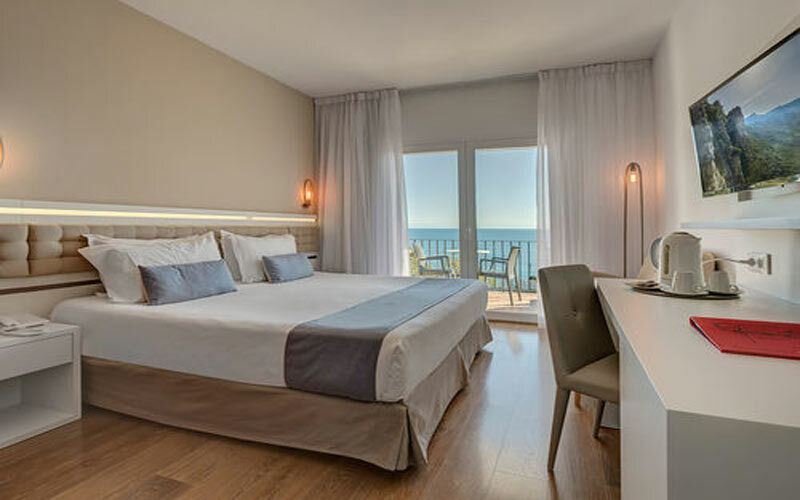 Set in a beautiful part of the Costa Brava, high above two coves filled with crystal-clear water, the 4* Park Hotel San Jorge is a modern building with a swimming pool overlooking the sea. Ideal for Costa Brava golf holidays. The hotel is in a great location close to some of the main golf courses in the area. The lively Platja d’Aro is a 5 minute drive or a pleasant walk away and offers plenty of bars and restaurants. 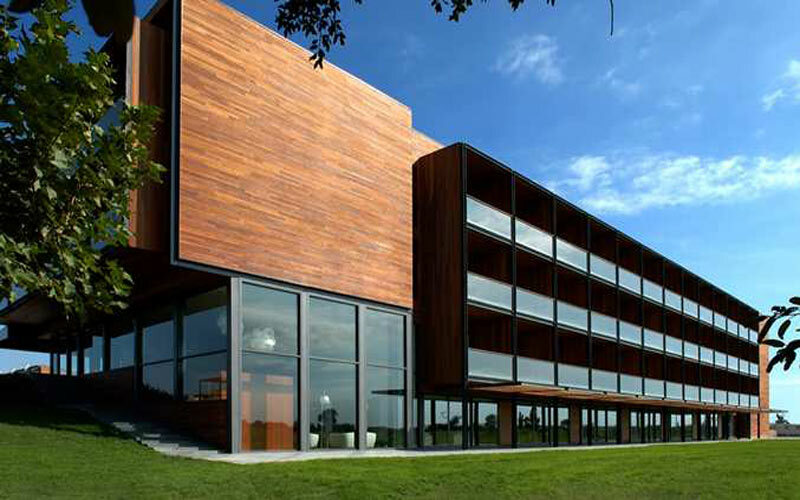 The 4* Double Tree by Hilton Hotel & Spa Emporda is a fabulous modern hotel, with their Links & Forest courses located on-site. The town of Girona is close by and the hotel offers great Mediterranean Cuisine as well as a gym and swimming pool. Staying at the hotel will mean you have access to discounted green fees at the Links & Forest courses. 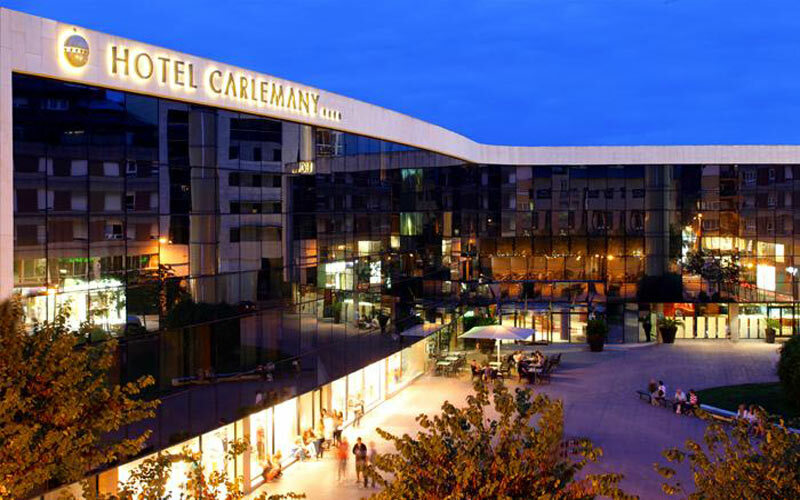 The 4* Carlemany Girona is ideally situated, just a short stroll to the Old Town where you will find many bars and restaurants. The hotel offers spacious modern rooms, with luxury cotton bed linen. Each room is air-conditioned and includes a minibar and safe. The Carlemany’s Indigo Restaurant & Bar serves cocktails on the attractive terrace. Secure parking with direct access to the hotel is available on site. The 3* Hotel Santa Anna is a family run hotel located 100 meters from L’Estartit Port and 150 meters from L’Estartit Beach. The air-conditioned rooms all have a flat-screen satellite TV, a private bathroom and free Wi-Fi. The hotel has an outdoor pool and a rooftop terrace, where breakfast can be served with magnificent views of the sea.